Seriously, they actually set it on fire. 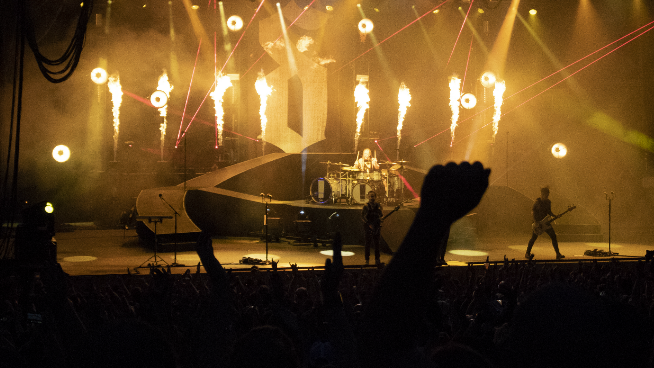 Ethan made the trip over to the Providence Medical Center Amphitheater in Bonner Springs tonight to check out a couple of the nations top rock acts, Shinedown and Godsmack. The two bands began a several month long trek together just a couple weeks ago and made it to the state of Kansas tonight. Both bands put on killer shows, both musically and visually. 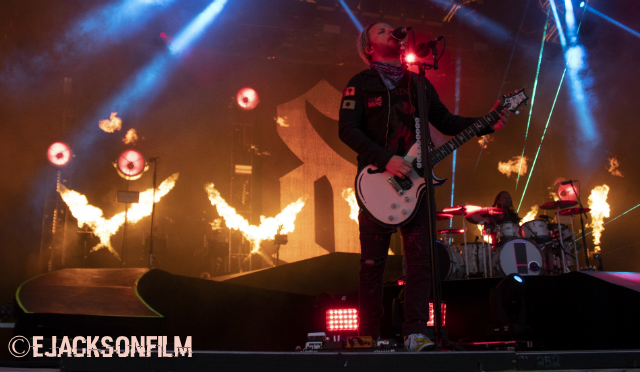 Shinedown played second after Like A Storm from New Zealand opened up the show. 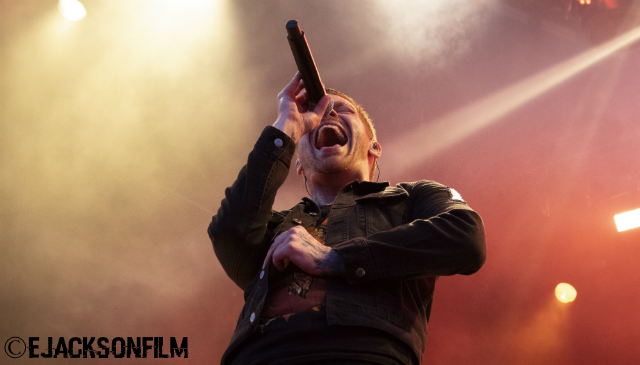 Shinedown came out with a bang. Literally. 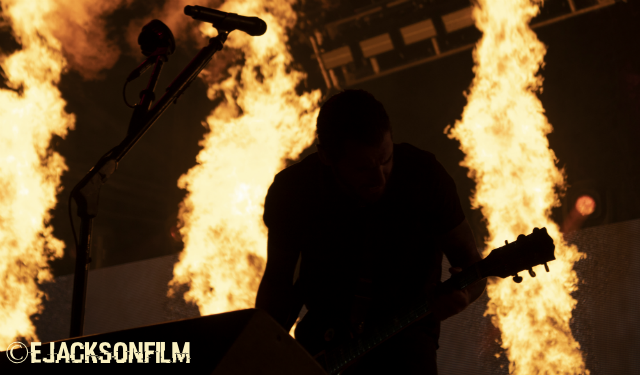 Their set was full of various uses of pyrotechnics from fire to fireworks and their light show was just as impressive. The band performed with a ton of laser lights behind them. They really set the bar high for the evening with the stage set up. Musically, Shinedown was on point. They performed fan favorites such as “Sound of Madness” and “Enemies” as well as a couple new tunes like “GET UP” and “DEVIL.” Yes, those song titles are actually in all caps on the new album ATTENTION ATTENTION, I’m not yelling at you. Godsmack definitely came out with 1000hp if you know what I mean. 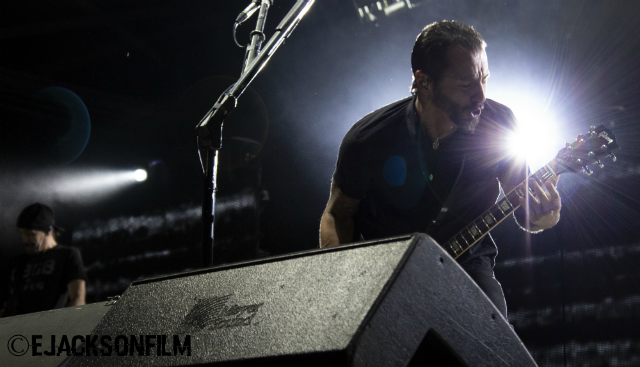 Plenty of the aggressive riffs that fans love and lots of fire. In fact, they had so much fire that I should have put on sunscreen, but I figured what the hell. These guys put on one hell of a rock show, especially for being around for as long as they have. To me, they’re kind of like the Korn of the rock community. They’ve got an amazing fanbase that’s been around since they started in the 90s and doesn’t plan to go away anytime soon.